My wife and two daughters and I moved to Suffield at the end of 1984. During my time in Suffield, I have been involved in numerous commissions, organizations, and employed by the Suffield schools. I started in Suffield as the elementary principal of Spaulding and Bridge St. schools. When the school district re-organized, I oversaw the renovations to McAlister Intermediate School and became the principal of the school. I was retired for a number of years when I was asked to be the Interim Superintendent of Schools in Suffield, which I did from January 1 until June 30, 2015. 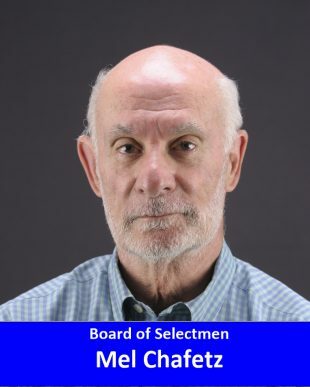 Besides my extensive experience in the schools, I am a member of the Board of Selectman. I was on the library commission and now am the president of the Suffield Public Library Foundation. I helped raise over $2 million to build the new entrance to the library, so it is accessible to everyone. I am chairman of the Juvenile Review Board (JRB), which I started in the early nineties. The JRB helps young people who get involved with the police and after 25 years, it is still going strong. I started the youth services, which led to the hiring of a youth Services Director. I am also a member of Suffield’s Inter-Faith Council. My wife and I moved 10 times before settling in Suffield. We fell in love with this community. Our daughters went through the school system, and my wife was an English teacher for 15 years at the middle school. My goals as a member of the Board of Selectman are to help the First Selectman move in positive and thoughtful directions. I aim to help create an atmosphere that encourages commercial enterprises to settle in Suffield and help them grow. It is important we create a balance between residential and commercial revenue. We also need to develop a long-range plan for Suffield that sets a direction for growth, continuance of open spaces, recreational opportunities, and maintains the quality of life that we all appreciate. I view my role as one who raises questions, pushes our community leaders to think about the future, and discusses what we want our community to be and look like in the future. Too often I have felt we have been short sighted and worried about the present and not looking at the long-range consequences of our decisions. In these difficult financial times, especially with the state aiming to reduce Suffield’s state aid, I intend to bring my diverse experience to help develop a balanced budget- a budget that examines our capital, social, and community needs with fiscal responsibility. I have contributed to this community for many years in many ways. Suffield is a special place that I want to keep it that way. I ask for your vote and support.